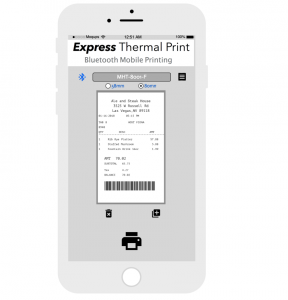 Express Thermal Print to bluetooth thermal printers. See Printing Receipts for more information and supported Bluetooth printers. 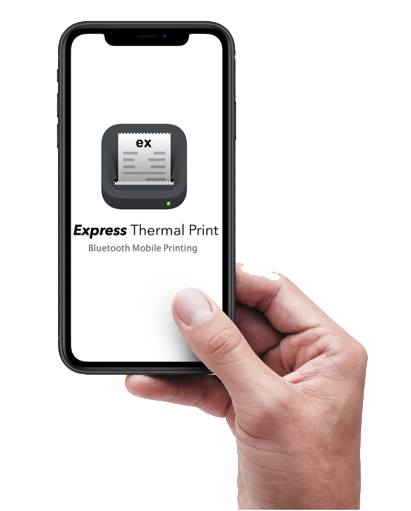 Express Thermal Print supports a wide-range of bluetooth printers that utilized standard ESC/POS commands. See list of supported printers. To print photos from iOS / Android to your bluetooth thermal receipt printer: From your photo gallery, select the photo you would like to print. Select “Share” of the image to Express Thermal Print and the photo will print to your bluetooth thermal printer.